It’s the season for sundowners, and what’s the best way to have a sundowner? with a view right? Here are the places with the best sundowner view in Cape Town. If you’re looking for the smell of surf and a fresh sea breeze as you sip on your cocktail, there is no better spot that Tobago’s Restaurant, Bar and Terrace at Radisson Blu Hotel Waterfront. Not only does Tobago’s Restaurant, Bar and Terrace serve some of the city’s most delectable cocktails, it also offers breathtaking views over the Atlantic Ocean. As we head into summer, it is also about to expand its offering with a Sunday brunch. With flowing bubbly, world-class food from the hotel’s kitchens, and a DJ to keep you entertained, it is certainly a vibe you won’t want to miss out on. Situated right in the heart of the city, Rick’s Café Américain Rooftop Bar, simply called Rick’s by locals, is an unexpected spot for a beautiful view of Table Mountain. Taking its inspiration from Humphrey Bogart’s character’s bar in Casablanca, Rick’s is known for its extensive wine list, drinks menu, and delicious food. And situated in 100+ year-old Victorian building, it certainly has the charm of its namesake, but in colour . Most well known for its vibey lobby bar, tucked up on the first floor of the Protea Hotel Fire & Ice Cape Town is the hotel’s pool deck and bar. A little known secret, unlike most hotels this pool bar is open to members of the public. 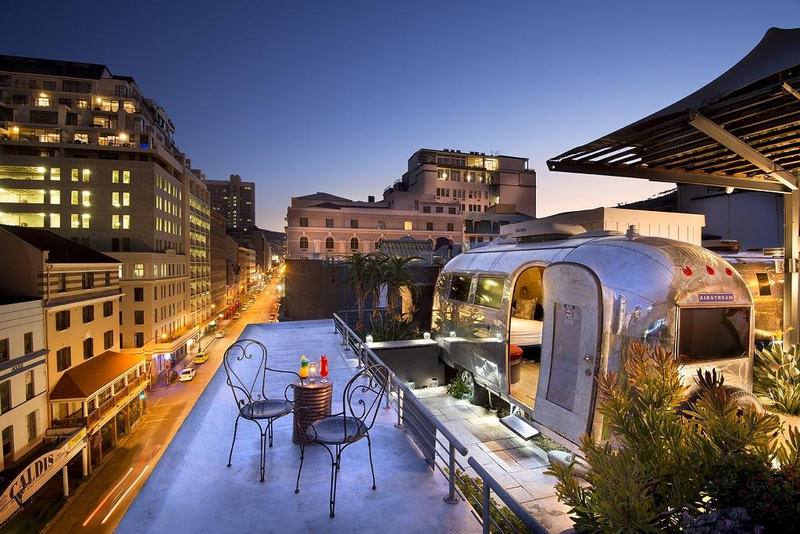 Extending from the front to the back of the hotel, it offers two different but equally beautiful views of the Mother City which you can survey as you enjoy your cocktail of choice. Offering a sprawling 360-degree view of Cape Town with picture-postcard looks at Table Mountain, Signal Hill and all across the bay, the Vue Sky Bar & Lounge makes the most of its location on the top floor of the new Mirage building in De Waterkant. With such views and delicious stylish cocktails to boot, it’s just the venue to meet up with friends at the end of a long day’s work.